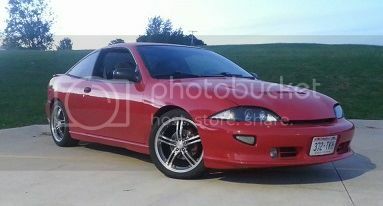 Does this go the same way when your going from the 95-99 Cavalier to the Sunfire headlights? 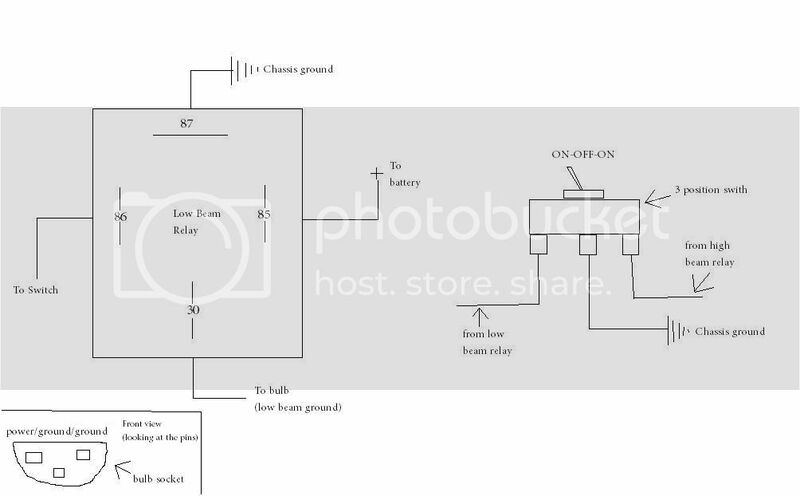 Got another dumb question... the relays I got have the numbers, but they aren't in the same places as in the diagram. Do I go by the numbers or positions on the relays? Where as I still cant find the darn wire the previous owner wired up the ignition I'm stuck with the 95-99 cavy headlight harness. why dont you skip everything else and just do the headlight harness swap? you do realize you can still take the harness from the main plug? and just do away with everything else. Where is the harness located may have to go to the yard this weekend and get me a harness as i currently have no high beams my lights had been working cept i wasn't using my DRL's i finally had the time to resolder the wires over the last month and then when I finally get the car out and on the road I no longer have either high or low beams. I flip my switch and my drl light comes on and starts blinking with no headlights any idea's? I got a 01 and want to put the 95-99 lights in can I just swap out the harness of the 01 for the 99 one? What your harness plug look like? I know the one I got for a 2000+ was a 2 row plug and my 99 has a 3 row plug. you never did post up your pics.. dont forget that 95-99 have more wires period since they have separate highs and lows. 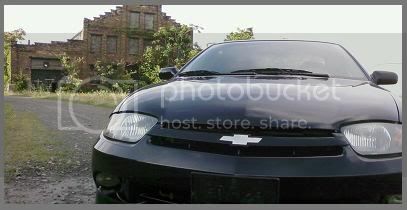 all i know is that when i got the 00-02 headlight harness it plugged right into my stock 96. check the other write up. I recently did this swap and the only problem I had was no DRL's but who cares about thoughs anyway. A fellow member sent me 2 seperate diagrams. One for the 97 and one for the 2000 headlights. There wasn't any plug and play because the female connector from the 2000 was shaped different from the 97 so I had to repin the harness. Ran into the same problem going from 03 to 95.after start up if me e-bake is up theirs no service light.if its down the service light comes on for the lights. If the e-bake is up and i turn the light on and place the e-bake down the service light doesn't come on. Can I still disable my drls stated in the sticky above for the 00+ the same way by doing that loop or will it not have an effect on it? Also what can i wire me for lights to? headlights with a fuse in between to the fogs? ^ X2. The pictures would help immensely!